Origin and Habitat: Saltillo, Coahuila (Mexico). 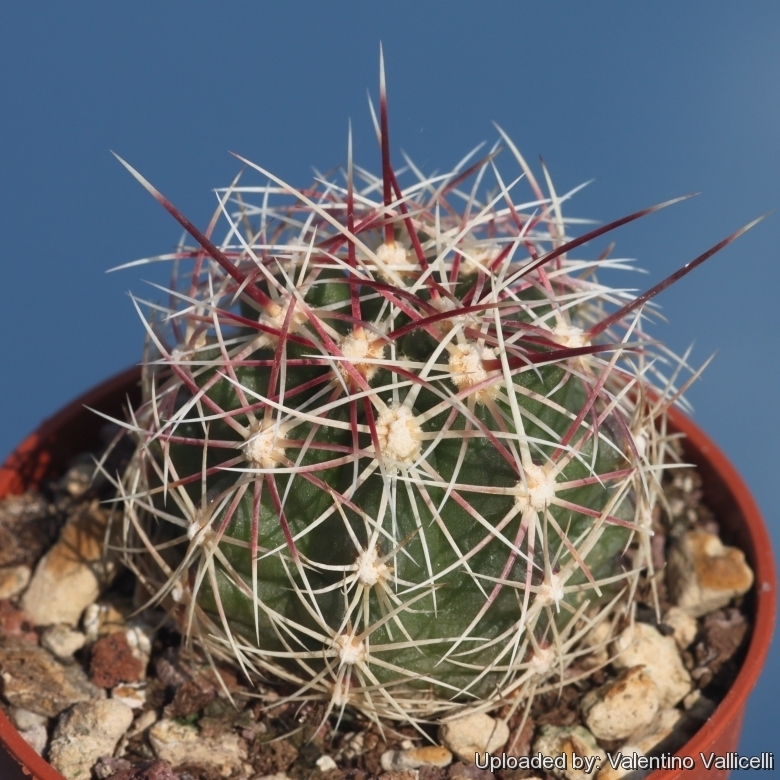 Description: Thelocactus bicolor are globular usually solitary cacti up to 10 cm in diameter. The var. tricolor is a densely spiny form with bright red and white spines. Spines: Centrals 3-4, 15-75 mm long, reddish to bright purple, straight, acicular. Radials 8-18, 10-30 mm long, white to reddish, straight, acicular.